Having traveled, lived and worked abroad with small children myself, can easily empathize with travelers and expats. One more thing about me: My favorite activity is to travel with my family and specially if it involves adventure sports like canyoning or scuba diving. 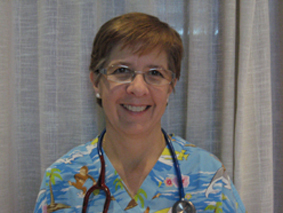 There are no reviews yet for Dr. Maria Dolores Terradas, but you can be sure to be in good hands. TraveDoc hand-picks all its partners in order to guarantee high quality medical service.